Goodness, I almost missed it. If WordPress hadn’t reminded me that I started this thingamajiggy two years ago, my blog’s birthday would have gone uncelebrated. So… Woo! Hoo! Thngamajiggy is an awesome word. I like the brat pack birthday clip. Happy two years! Thanks ever so. Non-existent words and grammar are my specialty! Happy Birthday! Consuming mass quantities of cake and ice cream in your honor. On a randomly related note, can you believe what a hottie Anthony Michael Hall turned out to be? Who would have thunk it? OMG, yes! AMH is even really scary in some shows. I’ve be afraid to have him sing happy birthday now. yeah, what was that little cup? does it mean a message from the WordPress Asgardians? Cool! Thanks! And thanks for sticking with me. Oh, THAT must be why I ate a dozen oatmeal raisin cookies today!! 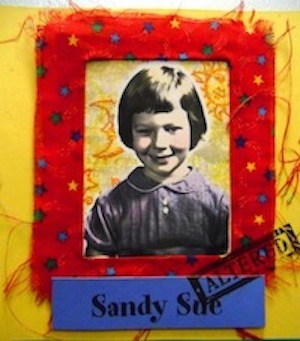 Happy Bloggy Birthday, Sandy!! Here’s to the terrible twos! At least I’m potty trained.